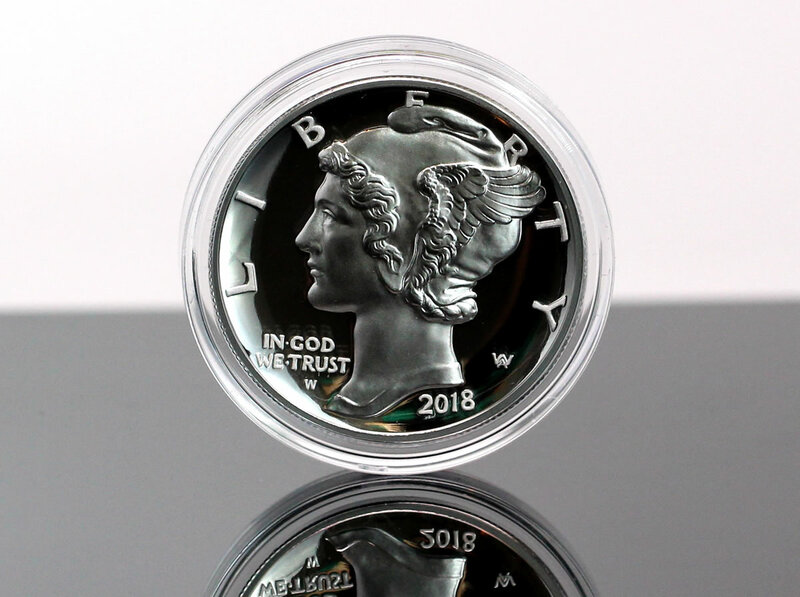 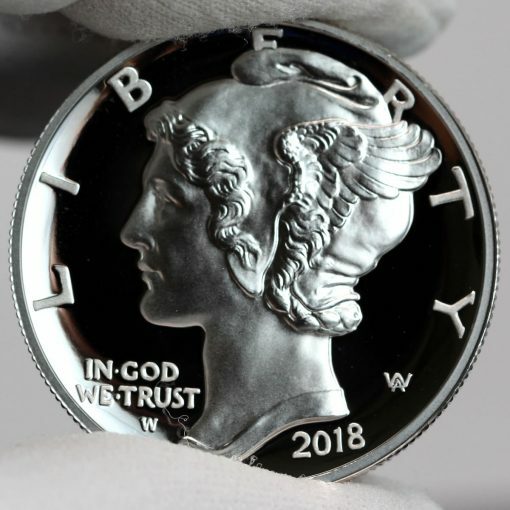 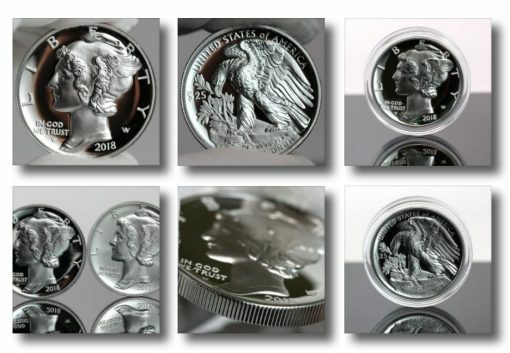 This article presents a short CoinNews video and several photos of a 2018-W $25 Proof American Palladium Eagle, the United States Mint’s first collector issue from its series of 1-troy ounce .9995 fine palladium coins. 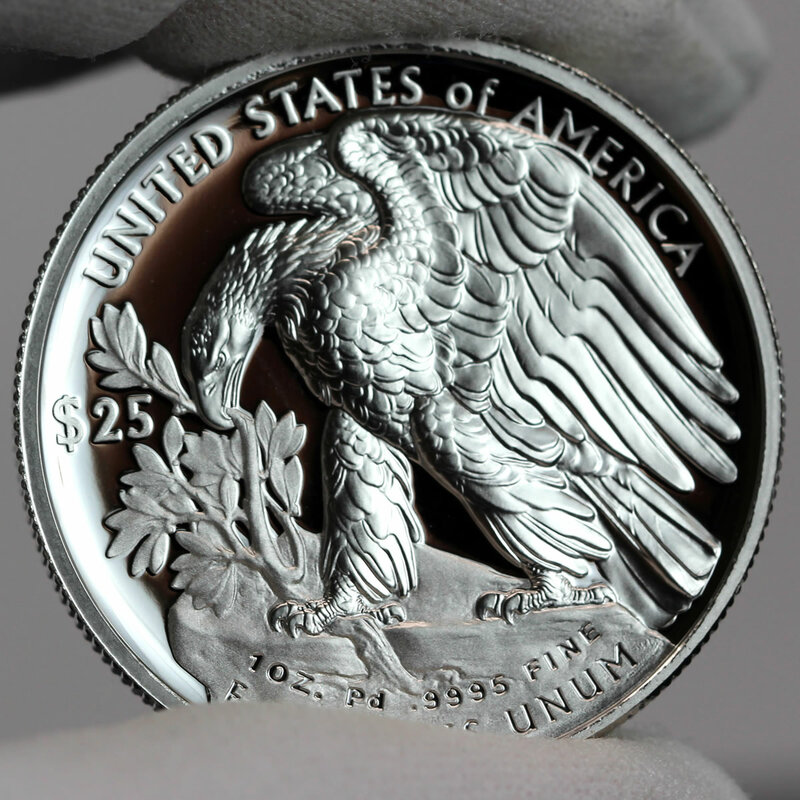 Despite the hefty launching price of $1,387.50 and an ordering limit of one coin per household, the West Point Mint struck proof 2018 American Palladium Eagle lasted less than five minutes from its Sept. 6 launch before becoming available. 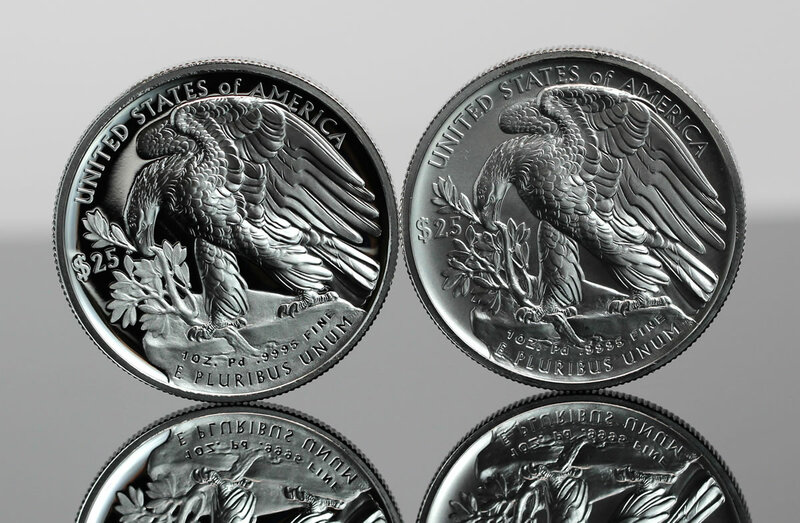 In the secondary market today, it’s hard to find ungraded examples for under $2,300 and coveted 70s are selling for as much as $2,900 — more than twice the issue price. 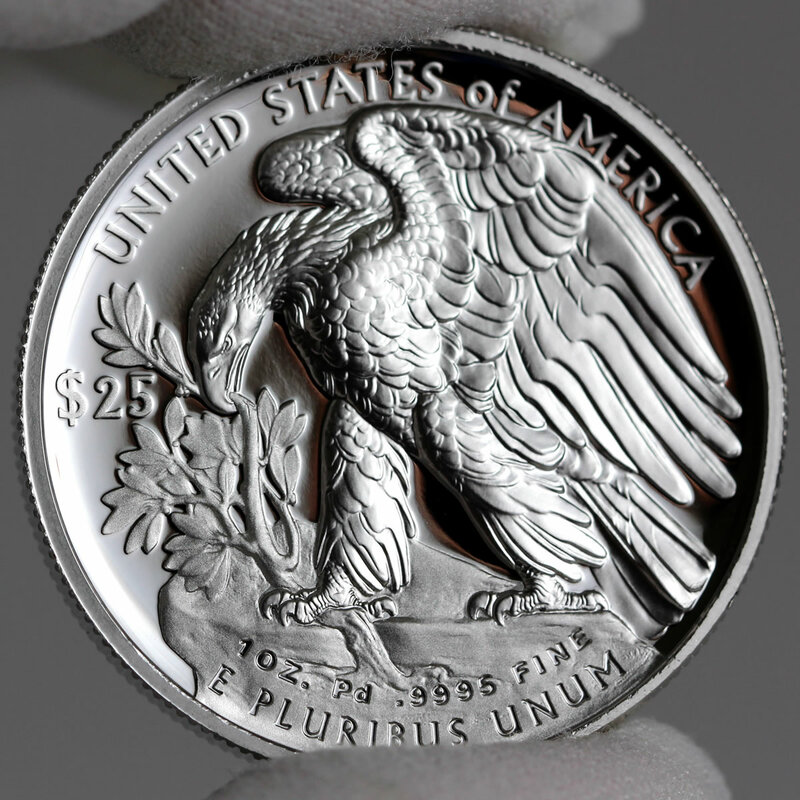 In 2017, the U.S. Mint introduced the bullion or investor-grade American Platinum Eagle. (See photos of bullion Palladium Eagles.) 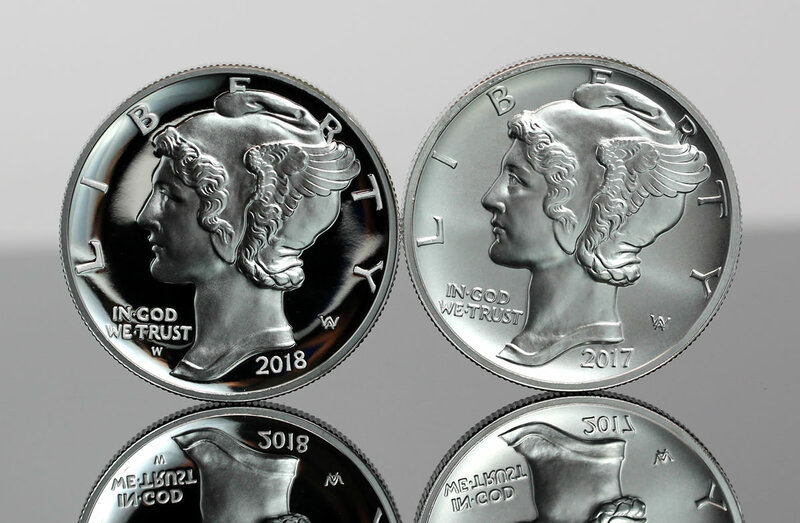 This year’s proof version, made for coin collectors, shares the same designs as the bullion piece. 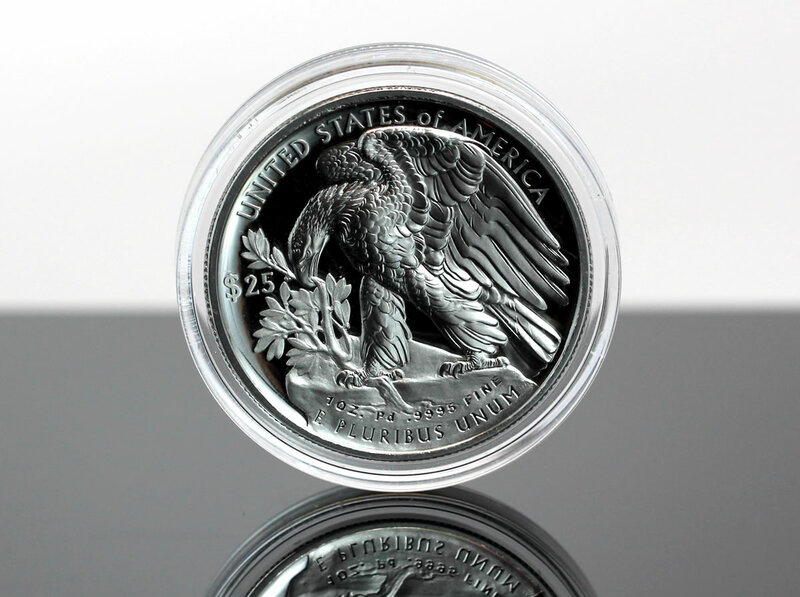 It’s readily distinguished by its proof finish which features frosted designs against mirror-like backgrounds. The two photos below highlight differences between proof and bullion Palladium Eagles. Palladium Eagle obverses (heads) bear a high-relief likeness of Adolph Weinman’s "Winged Liberty" design that first appeared on obverses of 1916 Mercury dimes. Reverses (tails side) feature a high-relief version of Weinman’s Eagle design for the 1907 American Institute of Architects (AIA) gold medal reverse. Public Law 111-303 authorizes the Secretary of the Treasury to strike and issue palladium coins on an annual basis. 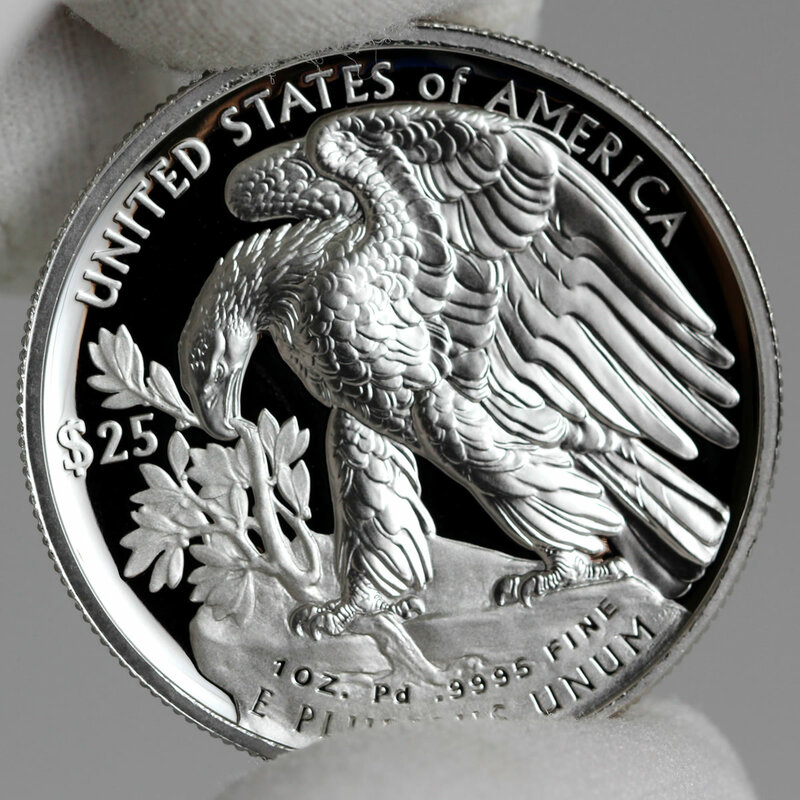 The palladium coin joins three other American Eagle products — the American Silver Eagle, the American Gold Eagle and the American Platinum Eagle. 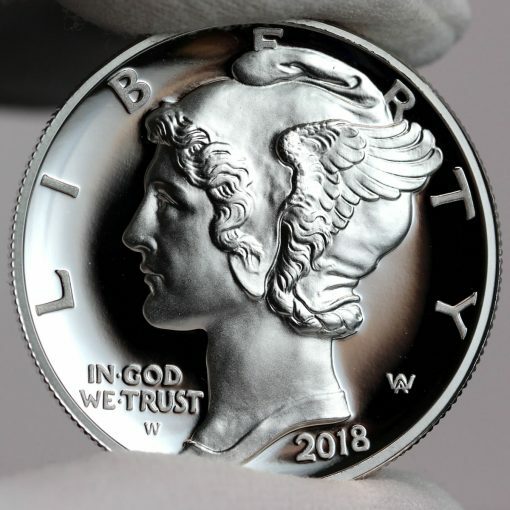 The palladium coin’s size is nearest the 1 oz. 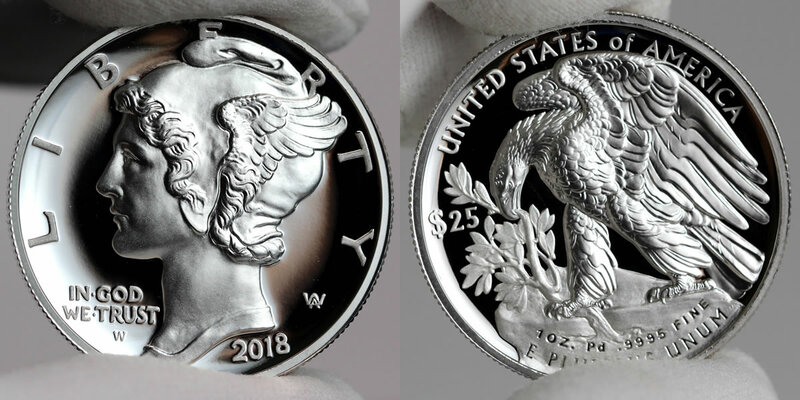 Gold Eagle. 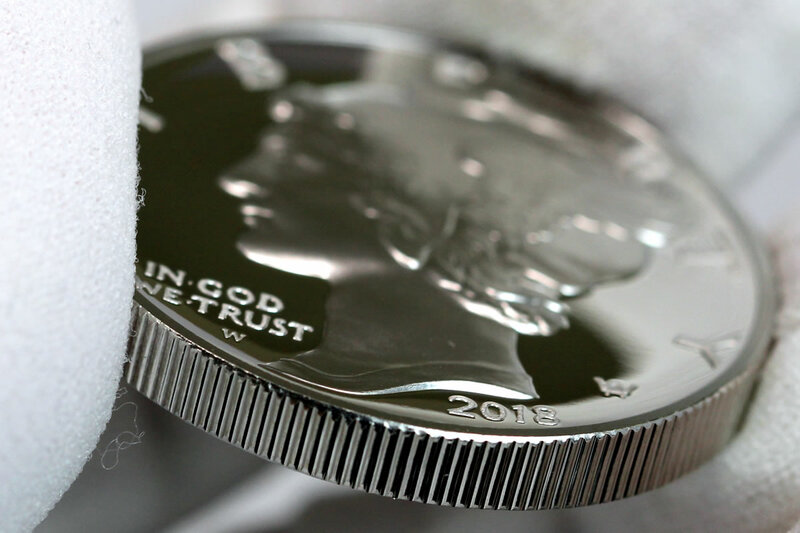 No other coins in the series match its thickness. Finally, below are a few more CoinNews photos of proof Palladium Eagles. Why couldn’t we have had that reverse for the Silver American Eagle when the series debuted in 1986? 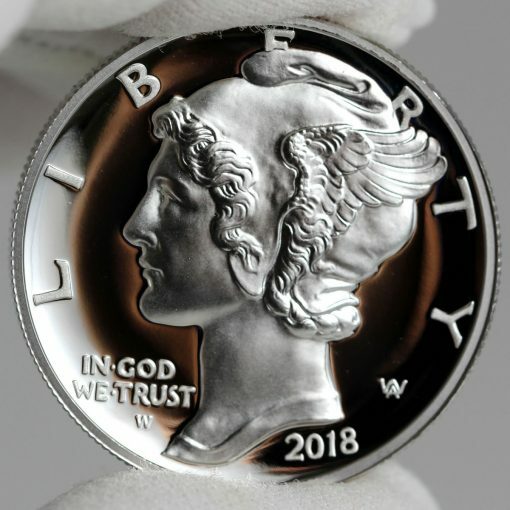 I love both the obverse & reverse designs on this one. A win for the mint & collectors.